Martin Walch and David Stephenson, Watershed (video still), 2011-17. Martin Walch and David Stephenson, Time Slice (video still), 2015-17. 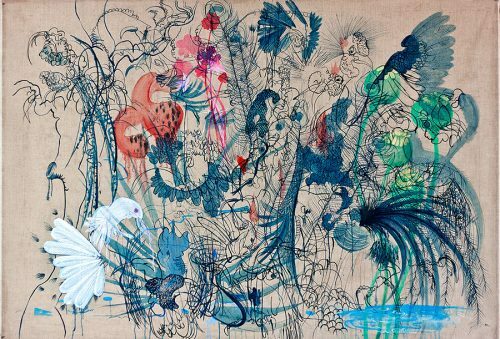 Throughout their artistic careers David Stephenson and Martin Walch have maintained a strong focus on creating work that documents the impact humans have on the natural environment. Before emigrating to Australia in 1982 American-born Stephenson spent time documenting the Alaska oil pipeline. In the late 1990s Walch was an artist-in-residence at Copper Mines Tasmania in Queenstown. For both artists, the visual representations of weather patterns, topographical changes and the human history of landscapes have consistently dominated their research and creative practice. Stephenson and Walch work collaboratively on The Derwent Project. 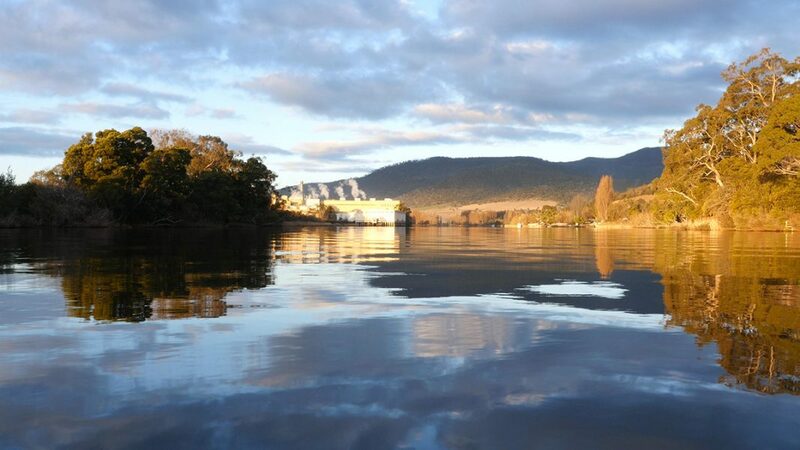 Using video and time-lapse photography they have visually charted the recent history of southern Tasmania’s Derwent River, from its beginnings in the central highlands to its position as a waterway severely effected by industry and the urban landscape. In their exhibition, The Derwent, a series of large-scale panoramic works from Stephenson and Walch’s project are presented across three galleries, each containing a different body of work. 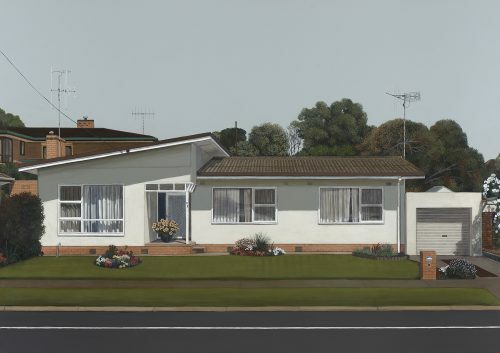 Positioned alongside a selection of colonial landscapes from the TMAG’s collection, the imagery of The Derwent has been sourced from the Tasmanian wilderness, hydro reservoirs, industrial sites and urban locations. The opening body of work in The Derwent is Time Slice (Derwent Time Lapse Array: 1/8/2015-31/07/2016). Multiple images wrap like a horizon line around the gallery. They are the immense panoramic result of countless still photographs layered together and then animated. As time, weather and shadows pass through, it appears as if a gauzy curtain is moving over the landscape. 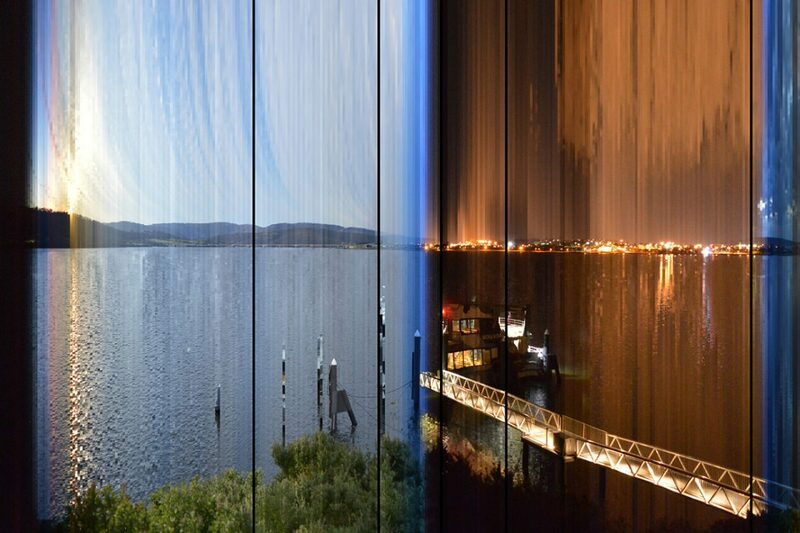 To achieve the effect of day passing into night each location was continuously recorded by 12 cameras placed along the Derwent River system. 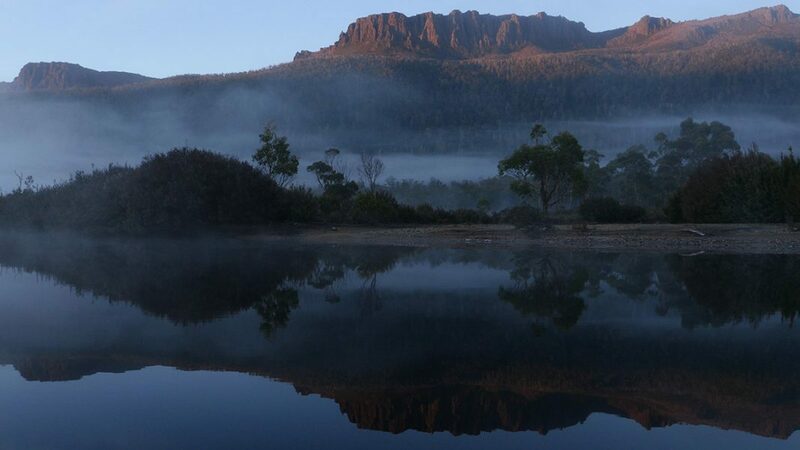 To achieve the effect of day passing into night each location was continuously recorded by 12 cameras placed along the Derwent River system. In the second collection of images, the visual pacing of the video work is given a brief pause in Matrix (Derwent Time Lapse Array: 1/2/2015-31/10/2016 6am-12pm-6pm-12am). In this work thousands of stamp-sized images have been printed onto huge sheets of photographic paper and each sheet contains evidence of locations photographed four times a day for close to two years. Not only is Matrix a visually impressive work, it also serves as important documentation of weather patterns and environmental changes. The benefit of the large-scale panoramic format in The Derwent is that it conveys the immensity of landscape: the sky is vast and the waterways are engulfing. This is especially evident in the third collection of work titled Watershed, which contains a series of multi-channel videos completed between 2011 and 2017. Set up on several widescreen monitors, the experience is not unlike an IMAX movie. To create Watershed cameras were placed on floating platforms in lakes and waterways, bobbing and pitching at the whims of the wind and water currents. Surrounding audio was also recorded at each location. Combined with the video footage it contributes to the immersive effect of drifting gently down river. Stephenson and Walch use the medium of large-scale panoramic images to great effect and together they have created a collection of work that is meditative and beautiful. 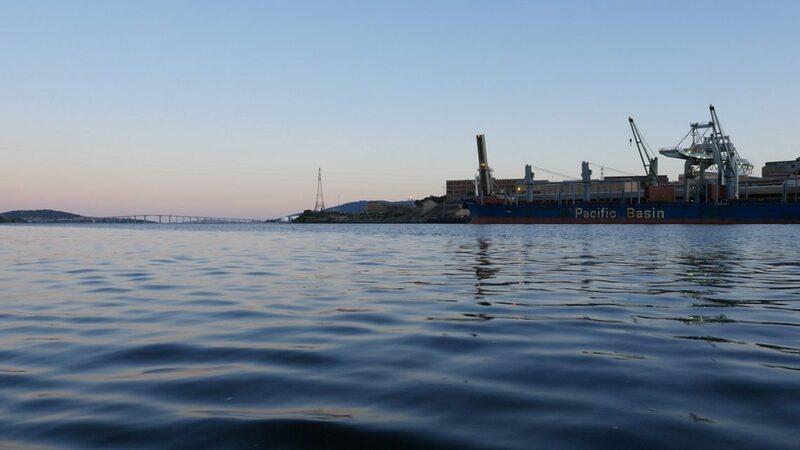 As The Derwent Project continues to evolve, Stephenson and Walch join the growing number of contemporary artists (including Tega Brain, Justy Phillips and Margaret Woodward, and Natalie Jeremijenko) who are responding to the environmental issues of the Derwent River by using art as a catalyst for lasting environmental change.